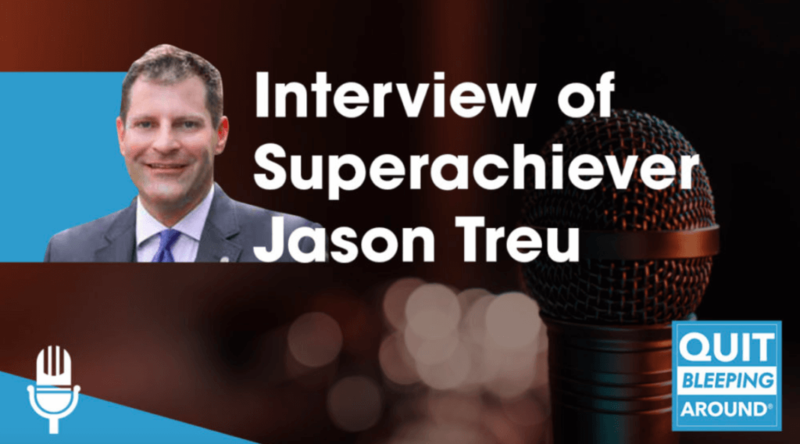 In this episode of Quit Bleeping Around®, awesome superachiever, author, and former FBI violent crime analyst and senior manager Christina Eanes interviews superachiever Jason Treu. Jason is an executive coach who works with executives, entrepreneurs, and rising stars to maximize their leadership potential and performance. He is a TEDx speaker where he spoke about a breakthrough team building game, Cards Against Mundanity, as well as the author of Social Wealth, a how-to-guide on building extraordinary business relationships. In this episode, Jason talks about being vulnerable to build quality relationships, how we hold ourselves back, and shares networking secrets. If you’d like to learn more about Jason, visit his website at JasonTreu.com.